The majority of European performers are not remunerated when consumers access their creative content –such as music and movies– via on-demand services like Spotify, Netflix and iTunes. Most of them are made to sign away and transfer all their exclusive rights to their employer, the producing company, all too often for a one-off payment for all territories and all the duration of their rights. Contractual freedom largely remains a myth and the tragic reality is that most performers can only sign their contract without a chance of improving its terms. The FAIR INTERNET coalition therefore calls for an unwaivable right for performers to be paid when their performances are used online via on demand platforms such as iTunes, Netflix or Spotify. Such payment would be claimed from online platforms and be made subject to mandatory collective management. This is the only mechanism that can improve the livelihood of all performers in a meaningful way. 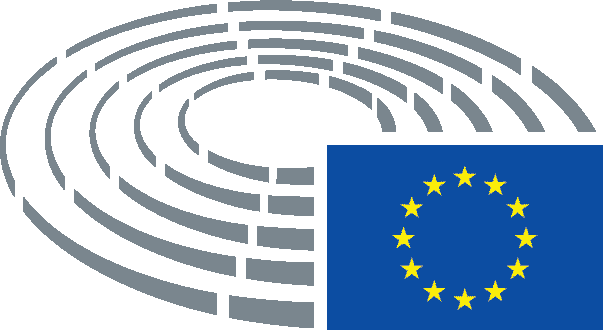 Representing over 500,000 performers, (including musicians, singers, actors and dancers), the FAIR INTERNET coalition would like to comment on the on-going negotiations for compromise amendments to the draft Copyright Directive and the study for the European Parliament’s Legal Affairs committee to be presented on 7 December, as it relates to articles 14-16 and the fair remuneration of authors and performers. We concur with the authors of the study that “the major criticism levelled against the proposals in Articles 14-16 is that they are so modest as likely to have minimal effect”. It is indeed disappointing for a major copyright reform project such as this (the only one since 2001) not to meaningfully address the concerns of those that are at the heart of creation and envisage adequate measures allowing them to make a decent living from their work. The provisions in the Commission proposal (articles 14-16) that are seeking to increase transparency, enable contract adjustments and facilitate conflict resolution, are currently too weak and fail to address the fundamental needs of most performers in the online environment. This is even acknowledged in the study commissioned by the European Parliament. With only a few exceptions, the suggested provisions and their conceivable improvements will not generate additional revenue for all performers. Neither will the much debated article 13 on “value gap”, as it stands today disconnected from a guarantee of remuneration for performers. As an alternative, the study refers to the introduction of an unwaivable right to remuneration, which the FAIR INTERNET campaign fully supports. It should be paid by on-demand platforms (iTunes, Netflix, Spotify, etc.) and made subject to mandatory collective management. Members of the Legal Affairs committee have tabled several amendments proposing to introduce such a right in the draft Copyright Directive. This was also fully supported by the Industry and the Culture committees in their opinions adopted in July 2017. For all these reasons, it is even more disappointing to see that the right to remuneration has not yet been included in the draft compromise amendments proposed by the rapporteur and to be discussed also this Thursday. The language proposed under new article 14a is not more than an empty shell. The FAIR INTERNET proposal is a simple and modern solution to a shockingly imbalanced situation. 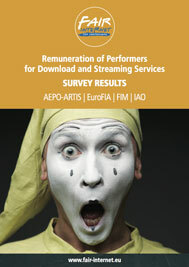 It will transform the livelihood of the vast majority of performers in Europe by giving them a fair return for the exploitation of their performances online. Similar mechanisms already exist in European legislation e.g. the equitable remuneration right for broadcasting and communication to the public (e.g. TV and radio broadcasting) provides performers with a fair revenue share, irrespective of the terms of their contract. The FAIR INTERNET coalition calls upon members of the Legal Affairs committee to make the best of this opportunity and to rebalance copyright by guaranteeing that all creative partners in the value chain may receive their fair share in the digital environment.